Kamikochi, which roughly translates as “upper highlands”, is a scenic plateau in the Azusa River Valley, in Nagano Prefecture. At an elevation of 1500m, it is surrounded by lofty mountains of the Japanese Alps that rise to a further 1500m, lending it an impressive beauty and allure. 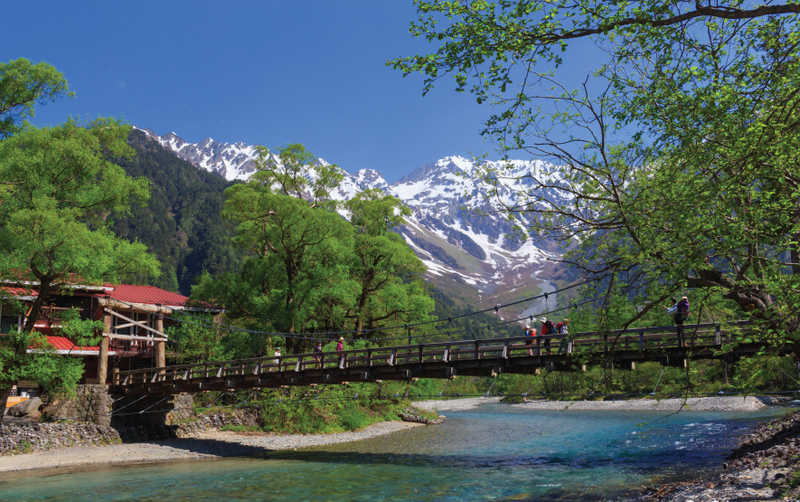 The spectacular highland scenery, the thick forests, the clear, blue river, and the iconic Kappa-bashi (Kappa Bridge) all come together to make Kamikochi a much-desired destination for those who love the great outdoors. Kamikochi is open to visitors from April 17th to November 15th in 2017, after which it remains closed for the winter. It is accessible only by bus or taxi, with private cars being banned. Not far from the bus terminal lies the Kappa-bashi, beyond which, hiking trails lead you through the valleys and up the mountains in the distance. There are various hiking trails for different levels of expertise to be found here. The trail leading to Myojin Bridge from Taisho Pond is perhaps the simplest, following a flat terrain. The Dakesawa hut hike is a 4km hike that begins at Kappa-bashi and winds its way uphill up to Dakesawa hut. If you’re inclined, you can continue your hike to Mt. Oku-Hotaka Dake, which will take you further up for an equal distance. For the adventurous, there’s the trail leading to Mt. Yakedake, which involves ropes, ladders and chains to assist with steep vertical climbs. The entire area is strewn generously with birch, Japanese larch trees and Japanese hemlocks. June brings forth fresh new foliage resembling a light green mist on the birch trees, attracting numerous tourists. The foliage turns to warm colours in the fall, with the autumnal resplendence peaking in mid-October. From May to October, there are numerous alpine flowers that cover the mountainside. Beautiful ponds, like the Taisho-ike, Tashiro-ike and Myojin-ike, further enhance the landscape. The Kappa-bashi is a distinctive symbol of Kamikochi. 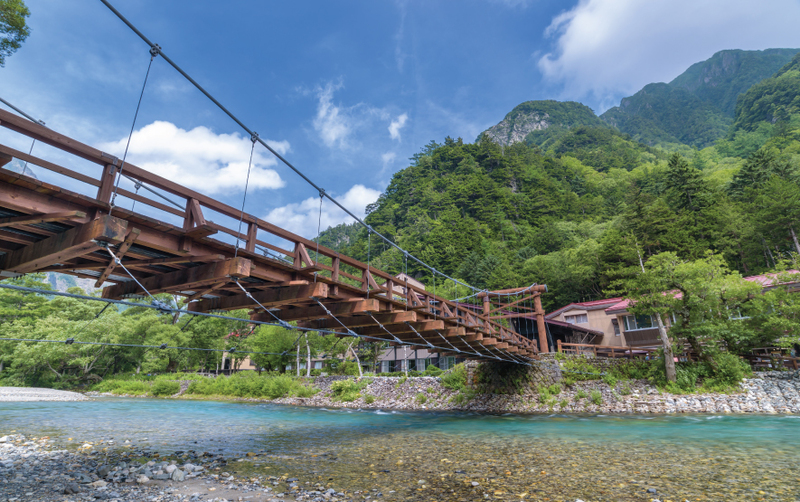 This 36m-long wooden suspension bridge over the Azusa-gawa is the perfect location offering stupendous views of Mt. Yakedake with its smoking crater. You’ll find several hotels, restaurants and souvenir shops sprinkled around the bridge. The bus terminus is a short distance away. 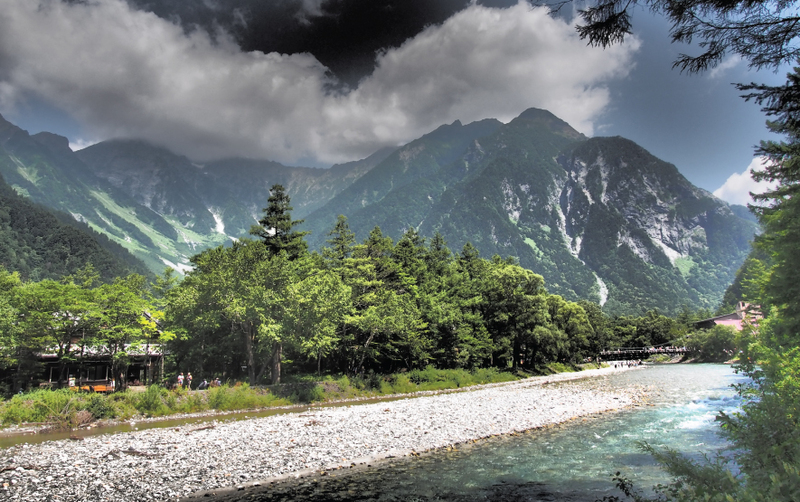 Kamikochi is busiest around mid June to August, during the summer, the cooler temperatures being a definite draw. It’s equally popular during weekends in the autumn season. Don’t miss the Weston Monument, a small plaque on the west bank of the Azusa River, honouring Rev. Walter Weston. He was the British missionary who introduced mountaineering to Kamikochi and popularized the term ‘Japanese Alps’. 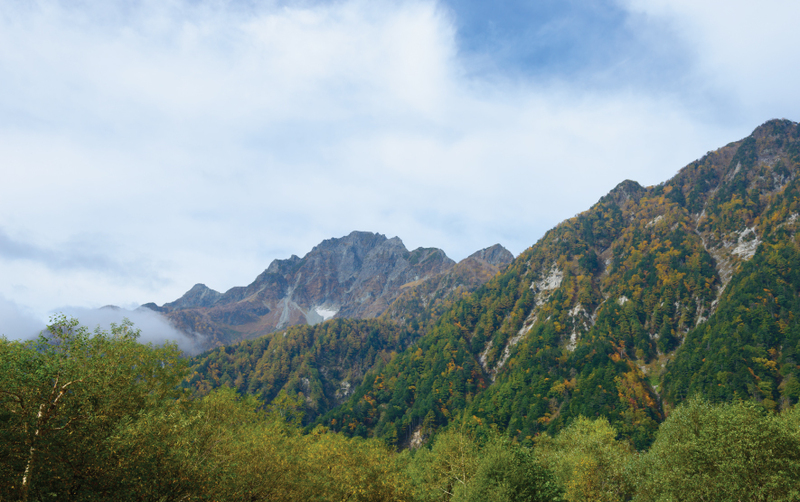 Whether you’re here for mountaineering, hiking, camping or simply soaking in nature’s blissful colours and sounds, Kamikochi doesn’t disappoint. Its beauty is refreshing to the soul and rejuvenating to the mind. 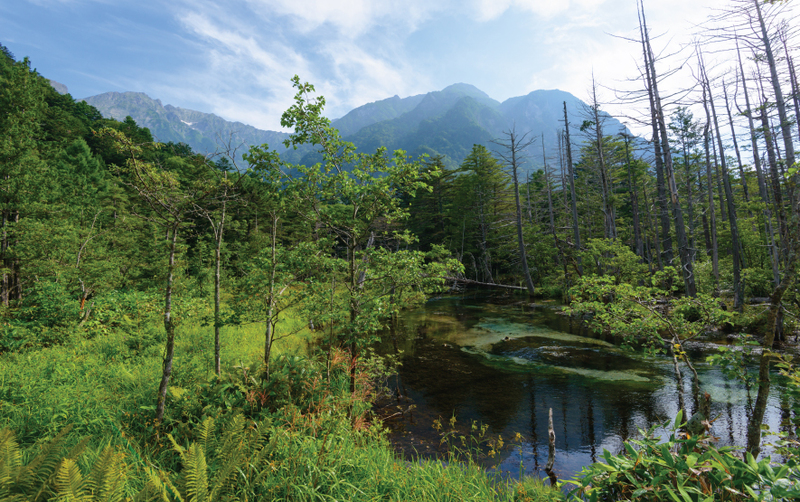 This very special part of the Chubu Sangaku National Park invites you to explore nature in its raw and take home very special memories of your time here. 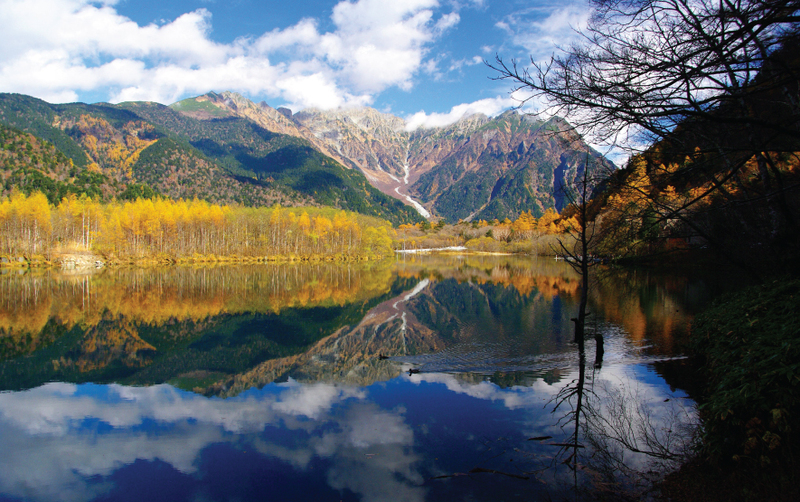 If you are planning a trip to Kamikochi in Japan, do not hesitate to contact your luxury travel designer Mr. Isao Numano.